Dr. Sorin Cohn is Founder and CEO of c-IM&E Inc. and BD Cohnsulting Inc. He was Chairman of Startup Canada, the association of entrepreneurs in Canada; and the Research Leader on Innovation Management and Metrics at the Centre for Business Innovation of the Conference Board of Canada. 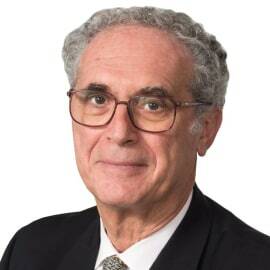 Dr. Cohn is on the boards of several high-tech start-ups in Canada. Sorin is a recognized expert with the International Standards Organization developing the forthcoming ISO56000 standards on innovation management. He is Vice-Chair of the Canadian mirror TC279 Committee. Dr. Cohn was awarded the Queen’s Diamond Jubilee Medal for services to Canadian communities and industry. Sorin has over 40 years international business & technology management experience in large multinational corporations as well as SME companies and research institutes, having been involved in most facets of “innovation development”: from ideas research to development of lab prototypes, from technology to product, from new business units to entrepreneurial companies and industry associations, and then to market success on the global stage. He co-founded one of the first global hi-tech business accelerators. Sorin has several patents and has published/presented over 100 articles and conference presentations. Dr. Cohn, who has a Ph.D. in Electrical Engineering, an M.Sc. in Physics and an M.Eng. in Engineering Physics, consults on innovation management and conducts graduate MBA courses and Executive Workshops in Canada, France, SE Asia and USA.